Liberty News Forum › LNF Forums Here › Political Opinion Page - The Hot Seat › Does the Old Moronic Pop Icon, Cher,.. FINALLY Get It, Now? Does the Old Moronic Pop Icon, Cher,.. FINALLY Get It, Now? I Understand Helping struggling Immigrants,but MY CITY (Los Angeles) ISNT TAKING CARE OF ITS OWN.WHAT ABOUT THE 50,000+Citizens WHO LIVE ON THE STREETS.PPL WHO LIVE BELOW POVERTY LINE,& HUNGRY? 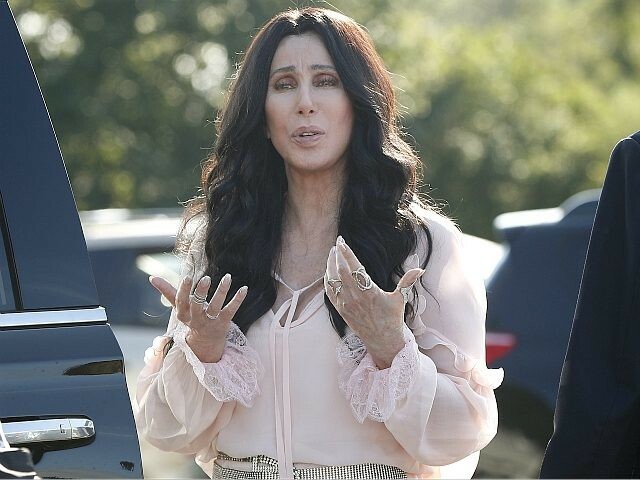 If My State Can’t Take Care of Its Own(Many Are VETS)How Can it Take Care Of More,” Cher said. Re: Does the Old Moronic Pop Icon, Cher,.. FINALLY Get It, Now? Tax movie stars more, say 75%. If she was "getting it" regularly she maybe she wouldn't be so unhinged. She does not get it. This a case of NOT IN MY NEIGHBORHOOD. Ahah, .. she's a hypocrite, then?